APRIL FOOL'S DAY | A.B.E. Remodeling, INC.
Hey Everyone.... by now I hope you pulled your april fool prank and that it was something simple like "a hole in your shirt" or "your socks are different colors" You know it could be anything - a spider on your leg. etc. Well I hope you had your fun with it by now. Here's some information I pulled from a history sitehttps://www.history.com/topics/holidays/april-fools-day...so if you feel like reading..go ahead. 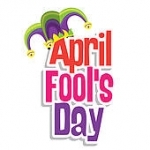 Historians have also linked April Fools' Day to festivals such as Hilaria, which was celebrated in ancient Rome at the end of March and involved people dressing up in disguises. There's also speculation that April Fools' Day was tied to the vernal equinox, or first day of spring in the Northern Hemisphere, when Mother Nature fooled people with changing, unpredictable weather. April Fools' Day spread throughout Britain during the 18th century. In Scotland, the tradition became a two-day event, starting with "hunting the gowk," in which people were sent on phony errands (gowk is a word for cuckoo bird, a symbol for fool) and followed by Tailie Day, which involved pranks played on people's derrieres, such as pinning fake tails or "kick me" signs on them. In modern times, people have gone to great lengths to create elaborate April Fools' Day hoaxes. Newspapers, radio and TV stations and Web sites have participated in the April 1 tradition of reporting outrageous fictional claims that have fooled their audiences. In 1998, after Burger King advertised a "Left-Handed Whopper," scores of clueless customers requested the fake sandwich. I am surprised that customers did request the left handed sandwich. gee whiz. By the way did you notice your door off the hinges (april fools) but if it is ...give us a call.